In an interview with Steven Booth of the Washington Post, on December 3, 2006, William Booth recalls that “Spielberg excuses himself for several minutes. His longtime collaborator, the cinematographer Janusz Kaminski, has come by. His dog is dying and Spielberg explains later that he is not only immensely fond of Kaminski but also his dog Larry, who often visited the sets. Spielberg says that when his own old Labrador was put down, it was done at his home, while the dog lay on his lap. “After it was over we sat there for an hour telling stories about him,” Spielberg says. “But I couldn’t watch them take him away. Click on Reasons For Euthanaia (for more on this topic). But first watch E.T. video clip featuring Steven Spielberg’s dog and Henry Thomas’ audition for E.T. At the auditions for E.T. THE EXTRA-TERRESTRIAL (1982), Henry Thomas thought about the day his dog died to express sadness. Spielberg cried, and hired him on the spot. Watch Henry Thomas audition for E.T. THE ADVENTURES OF TINTIN: DIRECTED BY STEVEN SPIELBERG RELEASE DATE DECEMBER 21 2011 CANDA The Adventures of Tintin (also known as The Adventures of Tintin: The Secret of the Unicorn is a 2011 American performance capture 3D film based on The Adventures of Tintin, a series of comic books created by Belgian artist Hergé (Georges Remi). Directed by Steven Spielberg, produced by Peter Jackson, and written by Steven Moffat, Edgar Wright and Joe Cornish, the film is based on three of the original comic books: The Crab with the Golden Claws (1941), The Secret of the Unicorn (1943), and Red Rackham’s Treasure (1944). The movie is about the adventures of a young journalist TinTin and his dog Snowy. Release Date December 28, 2011 Warhorse produced by Steven Spielberg and Kathleen Kennedy has been nominated by the Academy to recieve an Oscar for Best Picture for the year 2011. 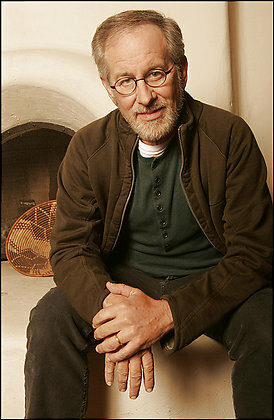 Steven Spielberg —when his own old Labrador was put down, it was done at his home, while the dog lay on his lap: See: E. T. video clip featuring Steven Spielberg’s dog; The Adventures of Tintin: The Secret of the Unicorn(Trailer);TinTin’s dog Snowy Catches the Thieves(video clip);The Adventures of TinTin Behind the Scenes(video);Warhorse a new film by Steven Spielberg nominated by the Academy for best picture for the year 2011(trailer).